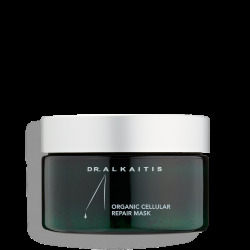 This potent miracle-in-a-bottle rejuvenates and revitalizes skin, visibly reducing fine lines and redness. Rosehip seed oil is rich in Vitamin A, essential fatty acids, linoleic and linolenic acids, and Vitamin E, all of which reduce pore size, diminish the effects of skin aging and result in firmer, smoother, and more youthful skin with greater elasticity. Carrot seed essential oil removes toxins from the skin, giving it a fresher and firmer appearance. Evening Primrose Oil is a rich source of gamma linoleic acid, an Omega 6 fatty acid that has anti-inflammatory and anti-oxidant effects. Sweet almond, apricot kernel and sea buckthorn oils replenish the skin’s moisture and alleviate eczema, rosacea and sensitive skin rashes. This fast-absorbing serum is nourishing for all skin; ideal for mature and sensitive skin, particularly for those with eczema and psoriasis. Use sparingly as a daily moisturizer; perfect as an overnight moisturizing eye treatment as well. Use sparingly as a daily moisturizer. Soapwalla’s Restorative Face Serum is perfect for use as an overnight moisturizing treatment as well.